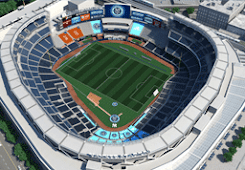 NYC is Blue: First Supporters' Group Meeting! I am proud to announce that the first organization meeting for our Supporters' Group will be held next weekend! 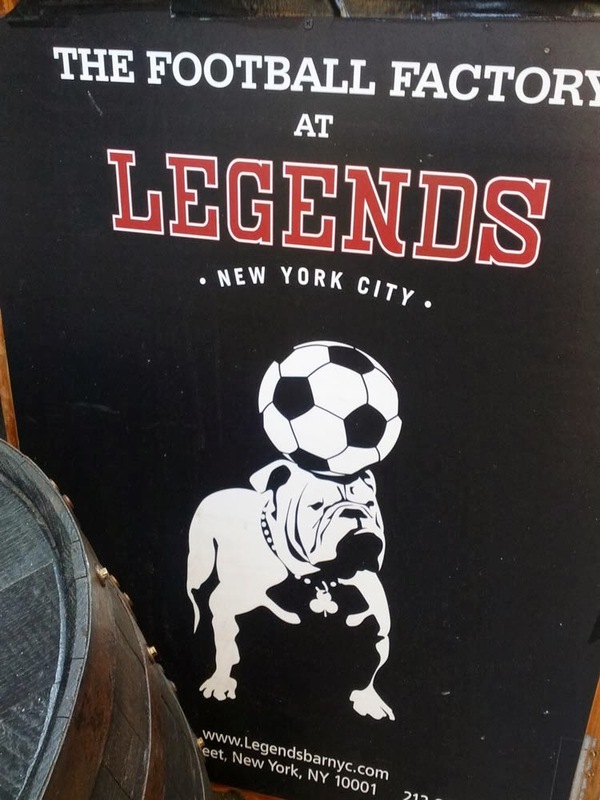 We are meeting at the Football Factory, located within Legends Bar at 6 West 33rd Street in Midtown Manhattan. That's between 5th Avenue and Broadway, across the street from the Empire State Building. I hope you'll be able to join us - this is an informal meeting, a get-together for the city's football fans glad to finally have representation in Major League Soccer. I don't know what the full agenda will be, but I'm hoping that we'll be able to start down the road of incorporating our merry little band. If nothing else, we can start to develop our club culture - bring your songs, your ideas for tifo, your chants and your ideas for what you'd like the first NYCFC supporters' group to be. I'll have a special surprise for the group - more details to come! See you at the Football Factory next Saturday! Is it Sat. or Sun.? You say Sun. Feb. 22. Sat. is the 22nd. Oh, crumb. Terrible place for a typo. The meeting is on SATURDAY. Saturday the 22nd - hope to see you there!